Explicit Yes But Why ep 151 Sue Salvi has a funny way of writing kids books! This week on Yes But Why Podcast, we chat with advertising writer and children’s book author, Sue Salvi. Sue shares stories about working as a hotel manager, writing advertising with her improv troupe, and writing her book, Someday A Bird Will Poop On You, on a road trip. Sue was connected to Yes But Why by past podcast guest Kristy Nolen. Kristy and Sue have been friends their whole lives – they grew up together in Pittsburgh, they were roommates in Chicago in their twenties when they took ... See More classes at Second City, and they are still good friends today! Sue tells us about the 8 years of Second City tours she worked on, during which she met her husband and eventually had her first baby. Listen in for the story of the Alaskan midwife! 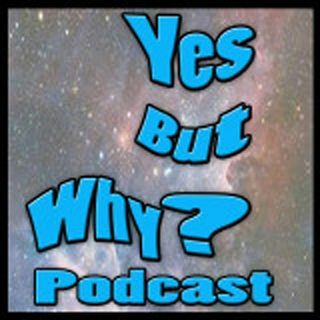 This episode of Yes But Why podcast is sponsored by audible - get your FREE audiobook download and your 30 day free trial at http://www.audibletrial.com/YESBUTWHY.